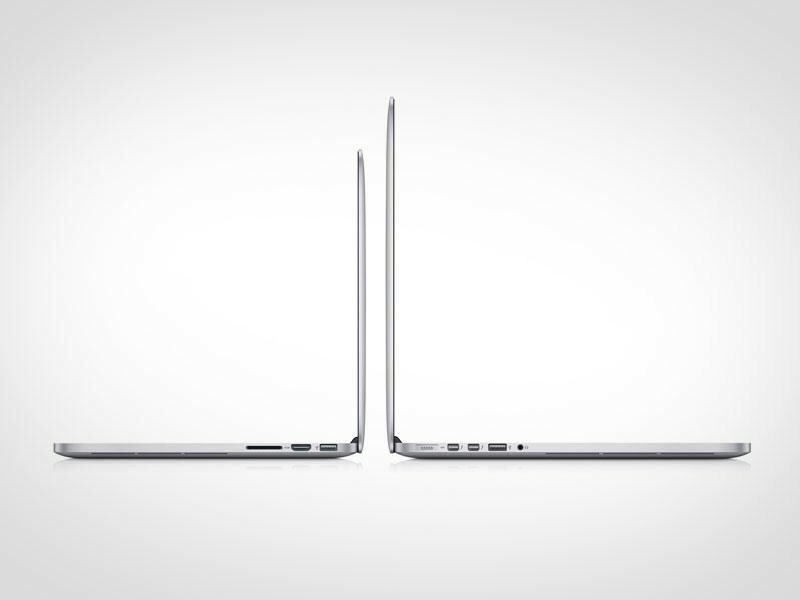 New MacBook Pro with Retina Laptops Compared - Which One is Best For You? Apple on Tuesday announced a refresh to its MacBook Pro with Retina display family. Each of the laptops has increased spec bumps, with faster processors and twice the RAM that was offered as the same price points as before. Additionally, Apple dropped the price of its most expensive 15-inch MacBook Pro with Retina display by $100, which makes it slightly more enticing. You might be wondering which one is best for you, though, so we decided to create some tables to show you all of the specs side-by-side, so you can see exactly what you're getting and what the differences between each price point are. Mainly, you'll see bumps in hard drive space, particularly on the lower end. Either way, these are all nice enough bumps, and the added RAM will probably make OS X Yosemite fly even quicker when it launches later this fall. Configurable to 2.8GHz dual-core Intel Core i5 (Turbo Boost up to 3.3GHz) with 3MB shared L3 cache or 3.0GHz dual-core Intel Core i7 (Turbo Boost up to 3.5GHz) with 4MB shared L3 cache. 512GB PCIe-based flash storage top model, configurable to 512GB or 1TB flash storage.